Well received around the world and winner of many awards the Mercedes-Benz Sprinter 2500 is specifically made as a commercial work vehicle. New for 2018 the 4-cylinder engine and seven-speed transmission are no longer available. The Sprinter 2500 comes in two wheelbases, two roof heights and three body lengths for class-leading versatility. 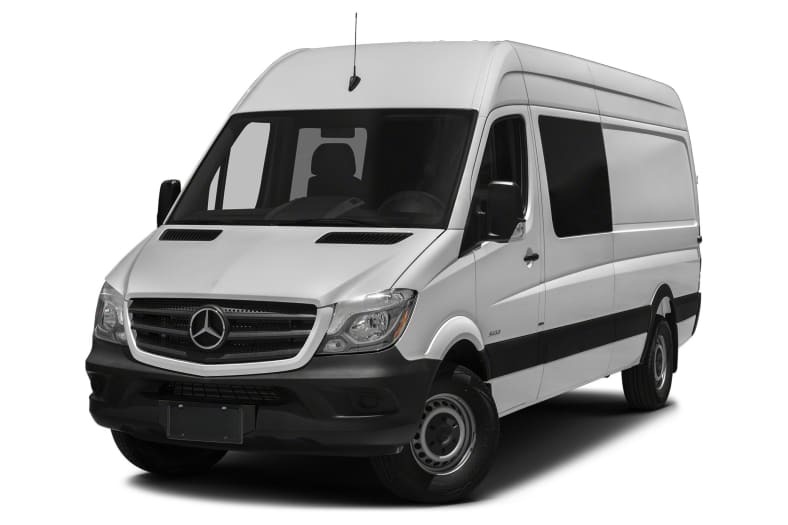 Available as a Cargo Van, a Crew Van, and a Passenger Van the Sprinter is powered by a 188-hp 3.0-liter V6 BlueTec turbodiesel engine and five-speed automatic transmission. Some models are available with four-wheel drive. Featuring a distinguishing tall roof, the Sprinter Passenger offers seating for twelve and ample room for luggage. The Sprinter Cargo includes seating for two and offers the lowest step-in height and widest opening rear doors in its class. With seating for five the Sprinter Crew Van has the versatility and comfort to suit any work crew. Standard air-conditioning with automatic temperature control and four-wheel disc antilock brakes are included. A lengthy list of available options enables the Sprinter to be outfitted to meet almost any specific need. Available safety features include Collision Prevention Assist, Blind Spot Assist, Highbeam Assist, and Lane Keeping assist. The standard audio includes a 5.8-inch display screen as well as Bluetooth connectivity. Becker MAP PILOT navigation is an available option. The Mercedes-Benz Sprinter 2500 continues to offer great versatility, flexibility, and convenience, and is a carryover model for 2018. The 4-cylinder engine powerteam is no longer available.